Right now I have bits of tomatoes in the refrigerator from summer BLTs and salads. I am grateful for my neighbor’s bumper crop of tomatoes, but they are looking a little soft and wrinkled. Canning tomatoes in the summer heat doesn’t sound appealing. Making and freezing tomato sauce is an option. Or I can make a tomato chutney. Buying a rotisserie chicken at the grocery store saves a lot of time and is great in the summer months when you don’t want to cook. Stretch that chicken into another meal by making stock with the carcass. Put the carcass, a carrot, celery rib or leaves, 1/2 peeled onion, and 4 black peppercorns into the crockpot and cover with water. Cook on “low” overnight. Remove all the bits in the morning and strain through a cheesecloth. Yields 4 cups of beautiful stock. Leftover pickle juice? Peel and slice cucumbers and add to the reserved pickle juice. A yummy addition to salads and sandwiches. 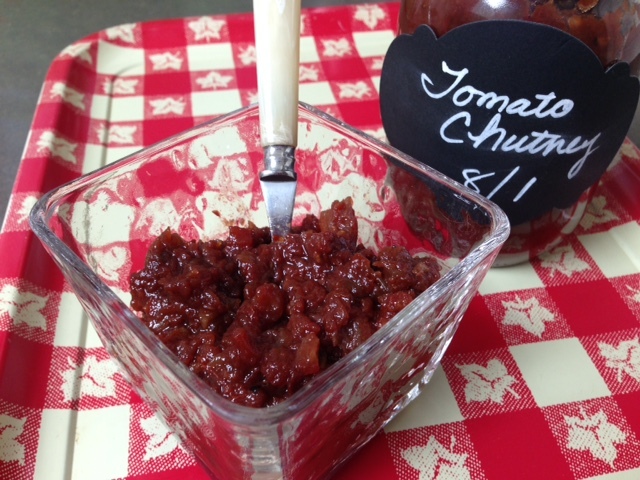 Leftover ginger from your tomato chutney? Peel and slice the remainder and store in sherry in the refrigerator. 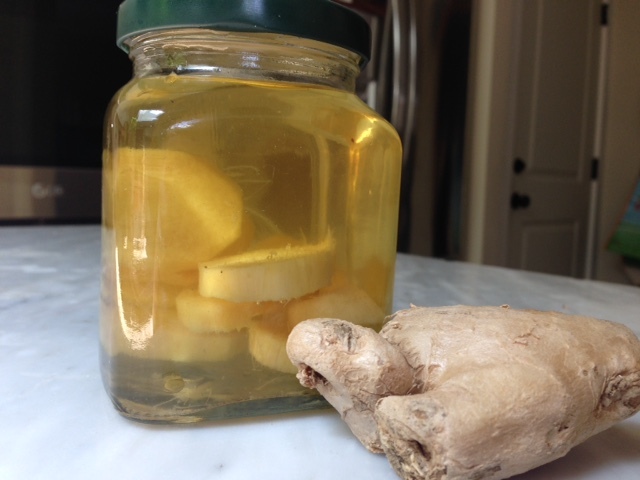 It will keep nearly indefinitely in the refrigerator, and the ginger-flavored sherry can be used in stir fries, cocktails, and sauces.